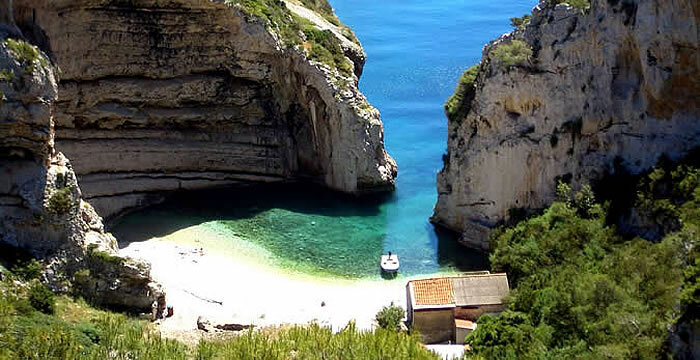 For your convenience, we have selected some of the most known and most beautiful beaches in Croatia. Beaches in Croatia are in most part (75%) rocky, and the rest are mostly pebbled. Get to know Croatia and the best Croatian beaches in several categories including best family, sandy, romantic, hidden and naturist beaches. Top naturist destinations in Croatia, FKK camps, beach resorts and FKK beaches. FKK beaches on Croatian coast and islands. Tourist guide for your FKK holiday in Croatia. Get to know Croatian national parks and nature parks. Croatia has eight national parks: four in mountain areas (Risnjak, Paklenica, North Velebit i Plitvice lakes), and four in the coastal area (Kornati, Mljet, Brijuni i Krka). There are many nature parks of national and world importance, for example Velebit and Kopački rit. Get to know Croatian history and discover the rich cultural heritage of Croatia. Historical city of Dubrovnik, Diocletian's Palace in Split and Plitvice lakes are recognized UNESCO world heritage sites. More then anywhere in southeast Europe, developed cities in Croatia have antique, roman or middle ages roots. Discover Pula and Split with it's many antique monuments, romanesque buildings in Trogir and Zadar, Gothic Sibenik, Pag, Hvar, Korcula and Dubrovnik or Varazdin with many baroque streets and buildings. Fun, Concerts, Party, Music, Night life. Croatian cities and summer resorts are becoming well known in Europe for their night life and good entertainment. At night streets and cities, cafes and nightclubs are full of young people enjoying themselves. Croatian national and traditional gastronomy, traditional food and drinks. The Croatian cuisine is specific for every region. Croatia offers own most popular domestic dishes and specialties: of the cold plates these are for example the famous dalmatian or Istrian prosciutto, cheese from Pag or Lika, sheep cheese, kulen from Slavonia, cesnjovke from Samobor or Zagori and fresh cheese with cream. For those who wish to experience the cuisine of Croatia, we have prepared a list of some of the best Croatian restaurants. Active vacation, sport and recreation in Croatia.